In this research, the effect of carbon nanotube (CNT) addition on the structural and superconducting properties of Bi2Sr2CaCu2Oy + x wt% CNT materials with x = 0, 0.5, 1, and 3 prepared by solid state method, followed by directional grown using the laser floating zone (LFZ) technique has been investigated. XRD measurements showed that all samples are composed of almost single Bi-2212 phase. SEM images proved that Bi-2212 phase is the major one, with minor amounts of (Sr,Ca)3BiOx, and Bi-2201 secondary phases. 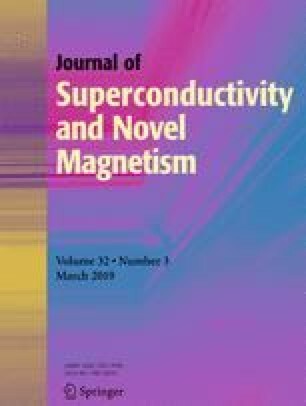 According to the magnetic results, carbon nanotubes decrease Tc values and significantly reduce the magnetic hysteresis loops area and the magnetic critical current density.